Of all the Black Friday and Cyber Monday offers, I found Bluehost Cyber Monday deal to be super sweet. You can get unlimited shared hosting at lowest price possible of $2.65/month along with one free domain. More on their CyberMonday deal below. Bluehost is a popular WordPress hosting company and known for their superior hardware quality. They are officially recommended by WordPress.org, as preferred hosting for self-hosted WordPress blogs. Bluehost offers various hosting packages that include shared hosting, Cloud hosting, WordPress hosting, VPS & few more. 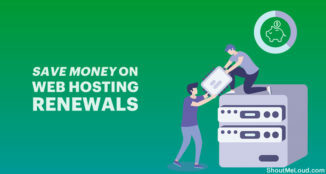 Their hosting quality is on the global standard & all of their shared hosting packages comes with unlimited bandwidth, unlimited storage, cPanel hosting. Free SSH, Latest PHP and all premium shared hosting features. If you plan to start a website or a blog, Bluehost is an ideal choice for you. On this CyberMonday sale (26th November 2018), you can get the maximum discount ever offered by Bluehost & save a lot of money for yourself. Below I have outlined the detail on how you can avail this special limited-time discount. 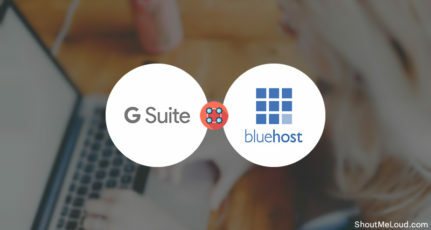 But if this is the first time you are reading about Bluehost, you should check out my personal Bluehost review, and you would know why this budget shared hosting is best for your next WordPress or any other website project. Bluehost CyberMonday sale will be live for only 24 hours starting from 26th November midnight. You have only 24 hours to avail this exclusive discount else you would be paying usual price for their hosting. They have discount running on all basic, plus and prime package. 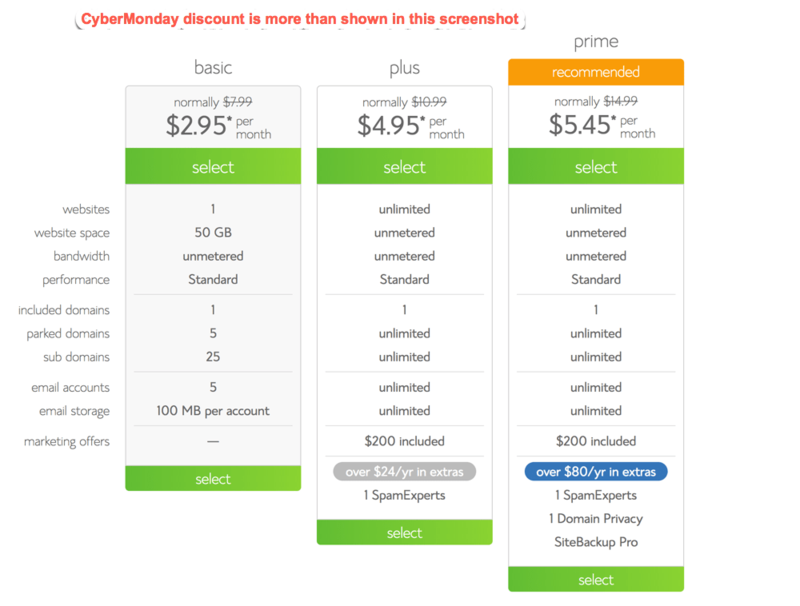 So spare 45 seconds, follow steps and screenshots to grab this Cyber Monday deal from Bluehost. On the next page select your plan. They have three plans & I would recommend plus package for intermediate users & starter plan for beginners. 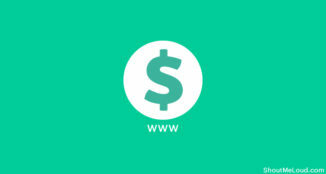 On the next page, you can either buy a new domain name or use your existing domain name. 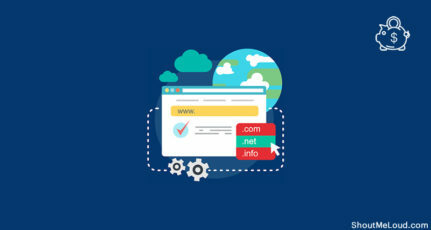 A good idea is to enter the domain name you want to buy since Bluehost is offering a free domain name & 50% off on additional discount on new domains with CyberMonday discount. Click on next, and the next page under the package, select plus package 24 or 36 months plan. 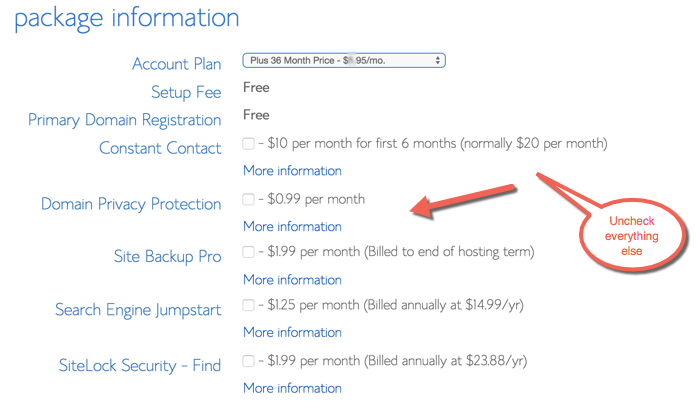 You can also select starter plan if you plan to host only one website. Plus package is good for those who want to host multiple websites. ( I prefer buying plus package & recommend the same for you). Uncheck the site lock domain security, and site backup pro, as you won’t be needing this add-on, and moreover you will be saving your money. Now simply fill-out all the details and proceed to the checkout to receive your hosting login information. 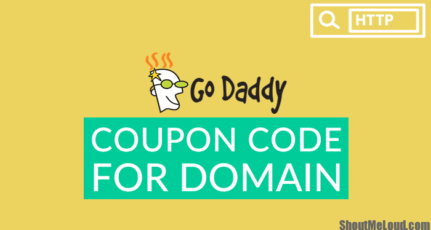 This is a limited time sale and one of such hosting offer that you should not miss. This special Bluehost Cyber Monday sale will end on 26th November 2018 midnight, and you if you miss it, you can take advantage of this discounted link to grab three years hosting for as low as $2.65/month. Note: If you are looking forward to creating a blog of your own, with Bluehost hosting you can create your WordPress blog in 5 minutes. 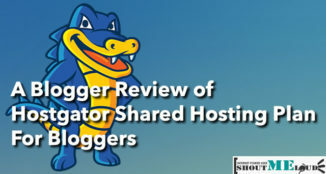 Here is a guide to install the WordPress blog on Bluehost hosting, and refer to my free WordPress guide for making your blog look professional. Do let me know if you are lucky enough to get this deal or not. Also, what other stuff you have bought on this Cyber Monday sale? Awesome deal for everyone .